Romeo, once the loneliest the frog in the world, finds a mate! Romeo the bachelor Sehuencas water frog. Credit: Dirk Ercken and Arturo Muñoz. 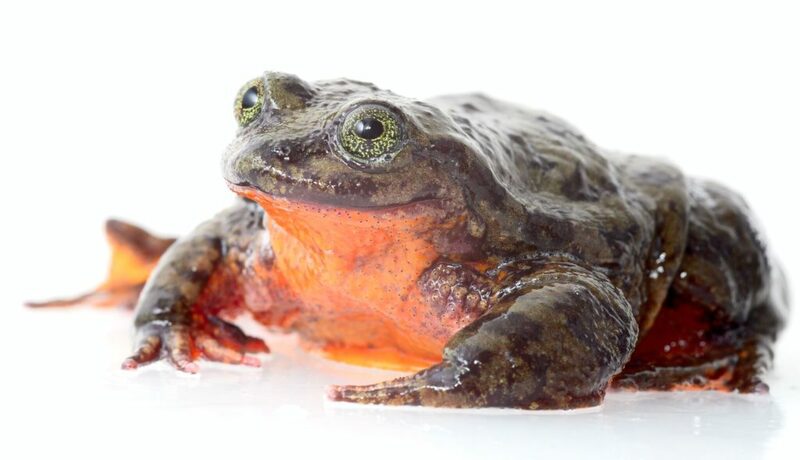 More than ten years ago, biologists collected Romeo — a Sehuencas water frog — from a stream in Bolivia. They knew that the species was in big trouble and a conservation effort had to be urgently ramped up, but despite numerous subsequent searches, no other specimen had been found. Things were looking pretty bleak for the loneliest frog in the world until recently when an expedition formed by Global Wildlife Conservation and the Museo de Historia Natural Alcide d’Orbigny rescued five individuals: three males and two females. It looks Romeo may have found his Juliet after all! The expedition team — which included Camacho Badani, veterinarian Ricardo Zurita Urgarte, Sophia Barrón Lavayen, the head of conservation breeding for the K’ayra Center; and researcher Stephane Knoll — spent months analyzing historical records of where the species had originally been found, in order to find the best spots. Although the researchers looked for the frogs in streams that had the perfect conditions, including in a stream where Camacho Badani had found Sehuencas water frogs ten years ago, they came out empty handed. At the end of one fateful day, when the whole team was exhausted and wet, they decided to try their luck just one more time. So they investigated a waterfall at the end of a stream and much to everyone’s surprise, the daring explorers found the much-sought-after amphibians. “I thought it was a Quechua Toad (Rhinella quechua), also called an Incachaca Toad, which is a threatened species. I told the team to stay alert because I planned to catch the frog to confirm it wasn’t a Sehuencas Water Frog, and then let it go. I got into the pond while the water splashed all over me and dove my hands into the bottom of the pond, where I managed to catch the frog. When I pulled it out, I saw an orange belly and suddenly realized that what I had in my hands was the long-awaited Sehuencas Water Frog. My first reaction was to yell “I found one!” and the team came running over to help me and pull the frog to safety,” Camacho Badani said in an interview for the Global Wildlife Conservation blog. Juliet with Teresa Camacho Badani. Credit: by Robin Moore, Global Wildlife Conservation. The Sehuencas water frog (Telmatobius yuracare) was once commonly found on the bottom of small streams or rivers in the inaccessible Bolivian mountain cloud forests. But a combination of pollution, climate change, and a contagious and deadly pathogen placed Telmatobius on the brink of extinction. The newly rescued frogs, among them a Juliet for Romeo, are currently in quarantine as they acclimate to an environment that replicates the conditions in the wild. Conservationists also want to make sure that the frogs aren’t affected by chytridiomycosis, the infectious disease that claimed most of the wild population. The expedition was launched after Global Wildlife Conservation completed a successful Valentine’s Day fundraiser last year. People from more than 32 countries were impressed by Romeo’s call for a mate in his Match profile and made donations. The funds were matched by Match for a total of $25,000. 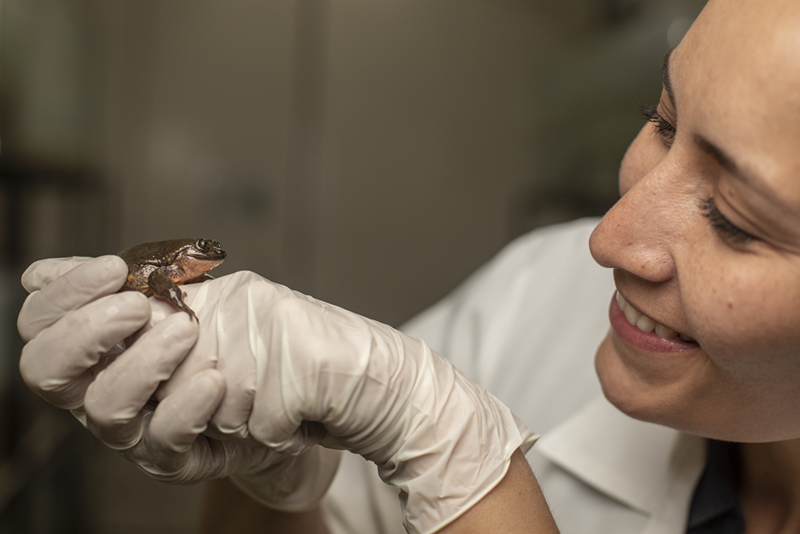 In the future, the team plans to look for more frogs through March to better assess the state of the wild Sehuencas water frog population, as well as also to test for the presence of chytridiomycosis. This way, conservation efforts will be better equipped when the time is right to return Romeo’s offspring to the Bolivian mountain springs where they belong. Previously, similar efforts successfully boosted endangered amphibian populations such as the Mallorcan midwife toad in Spain or the Kihansi spray toad in Tanzania.